Leaving Harwich and Felixstowe. 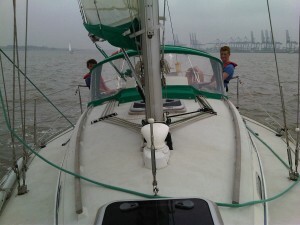 The visibility was poor and heavy showers were forecast. 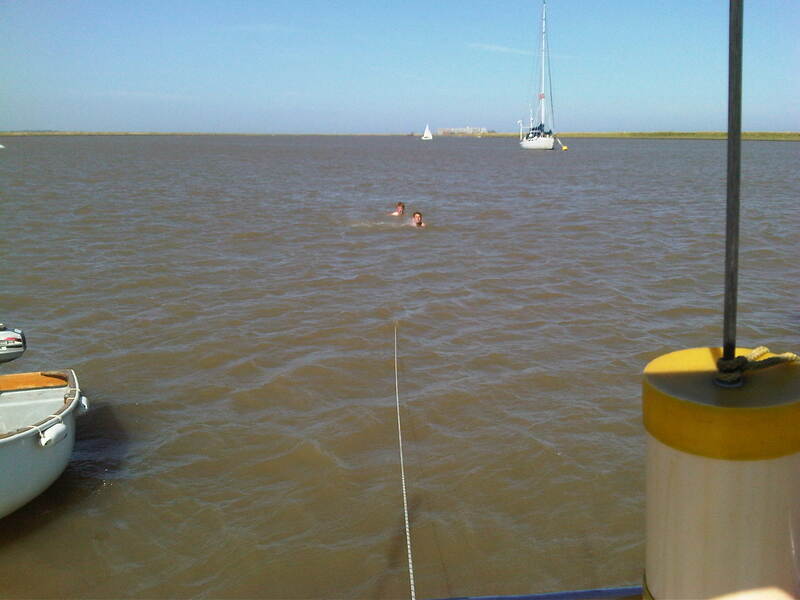 Throw the buckets off the back. She can’t keep up! Afternoon nap with a following wind! 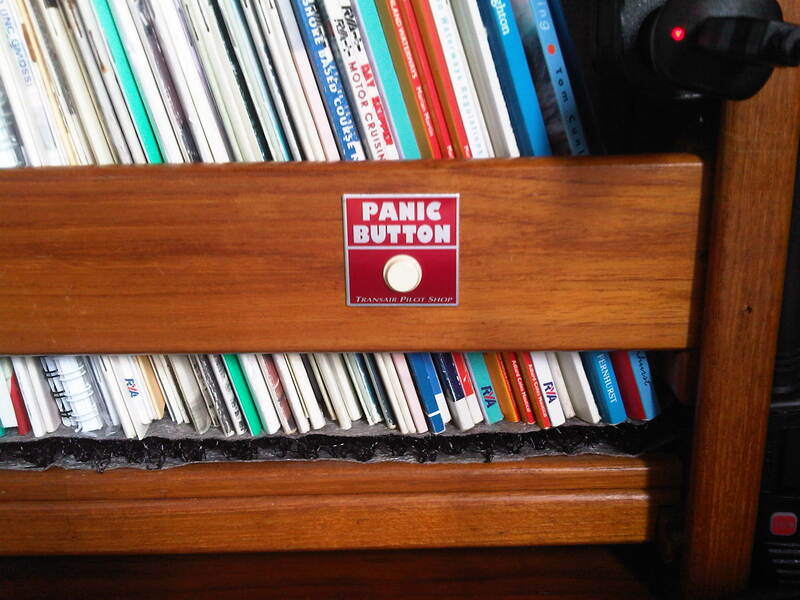 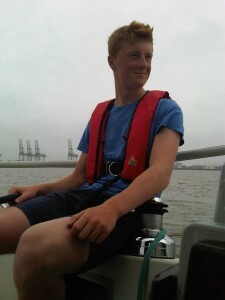 Coming back in to Harwich. 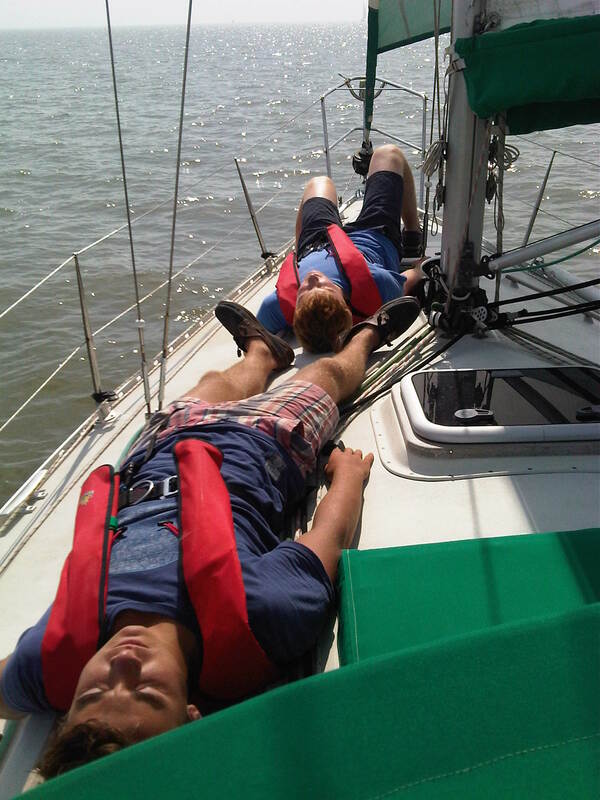 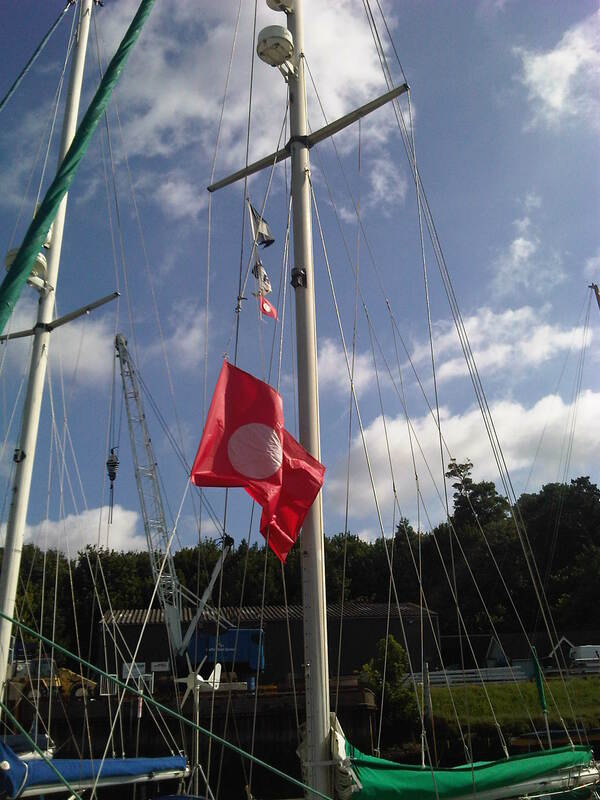 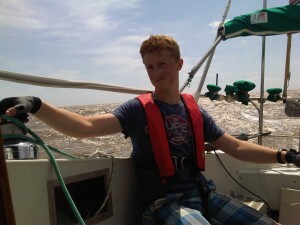 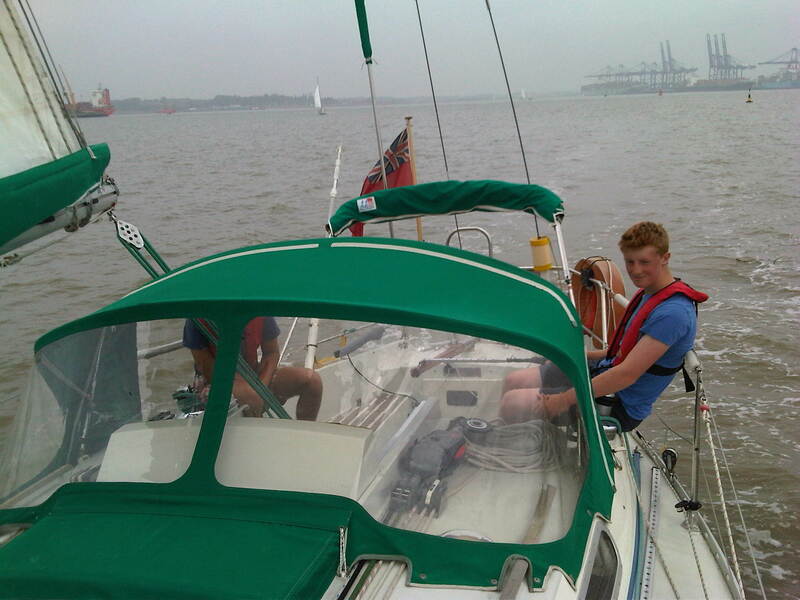 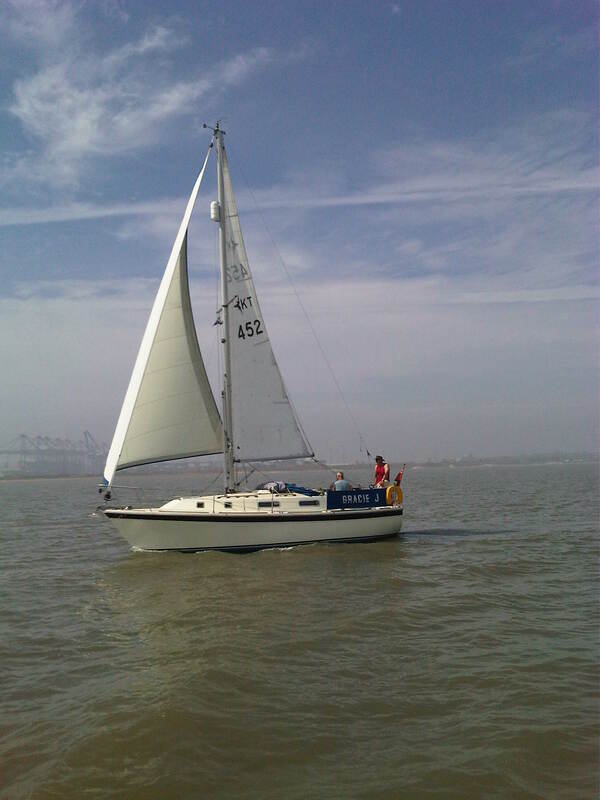 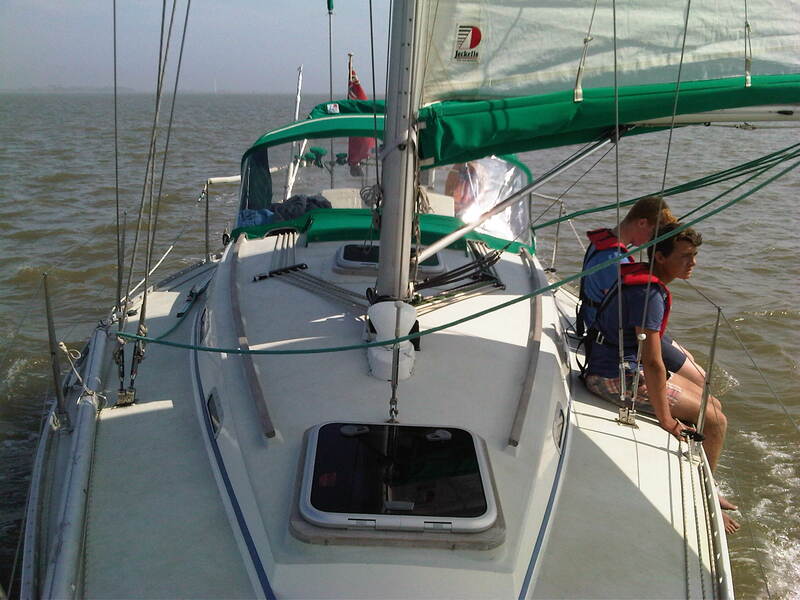 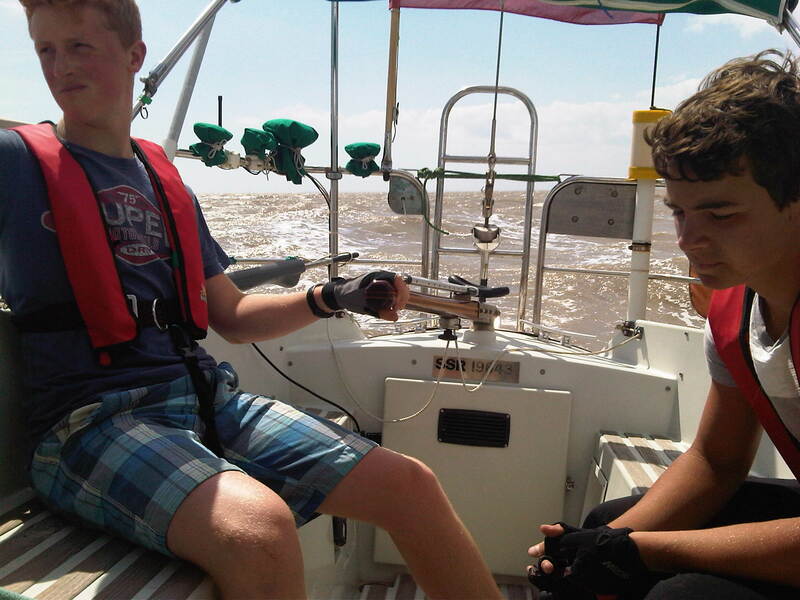 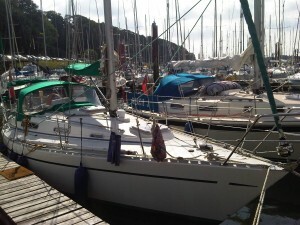 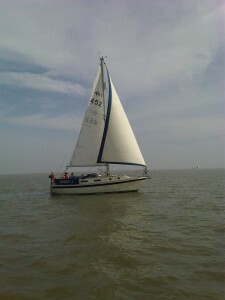 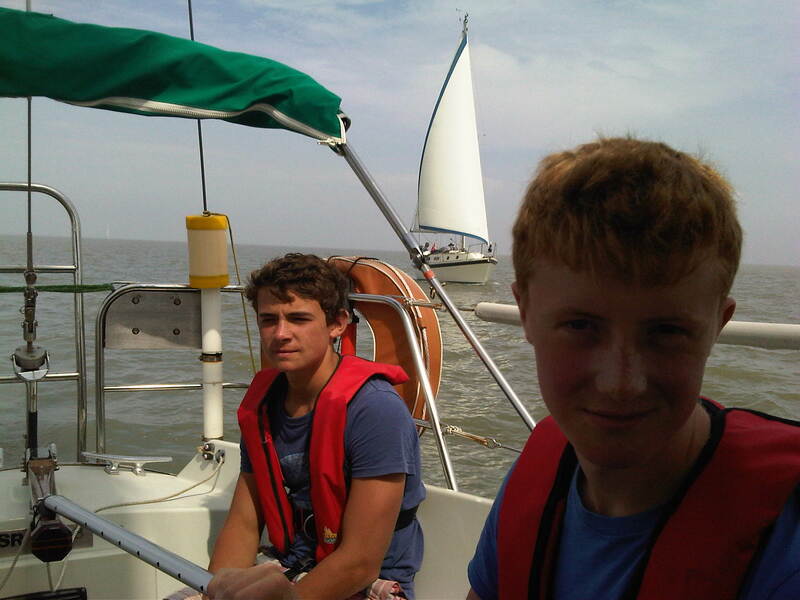 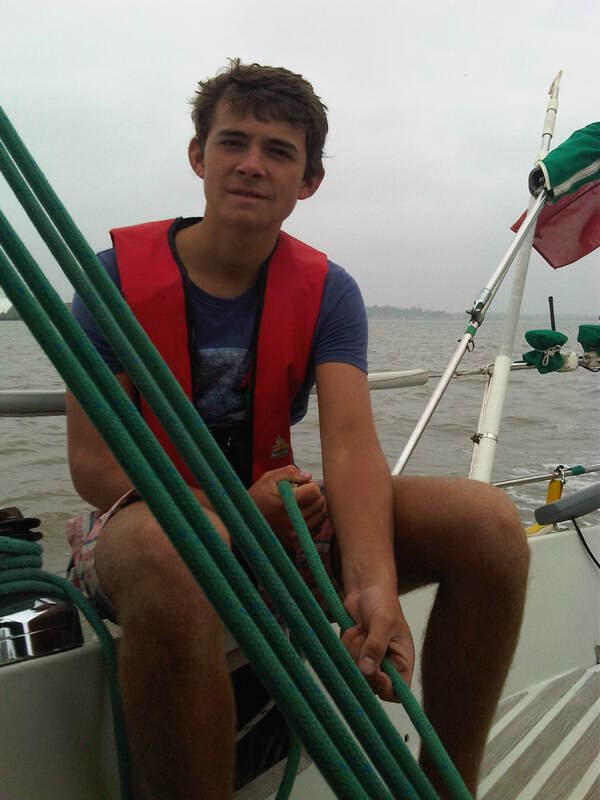 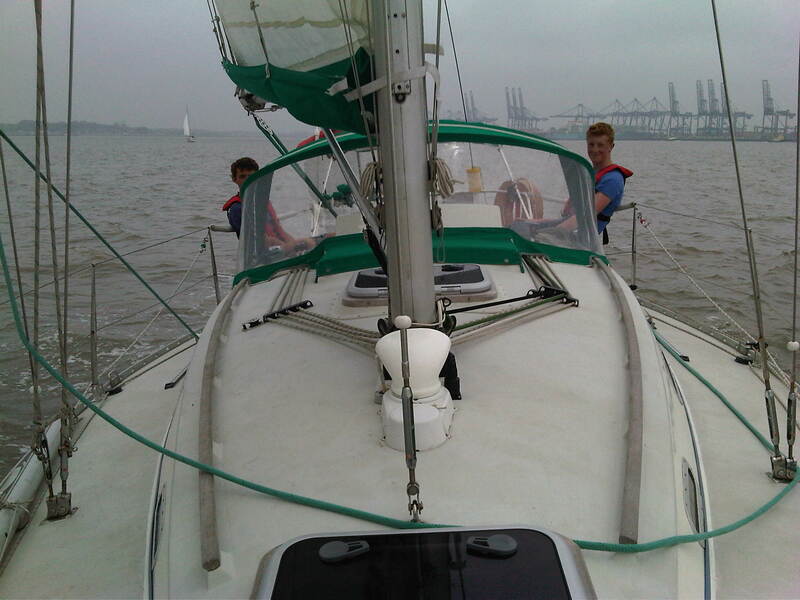 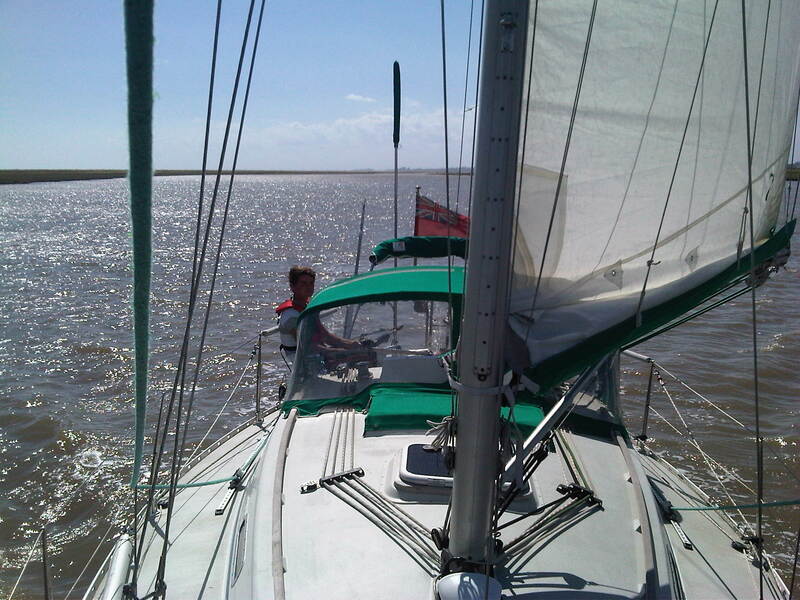 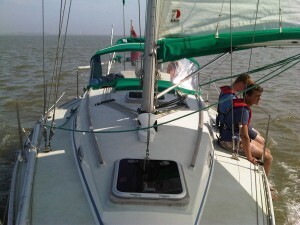 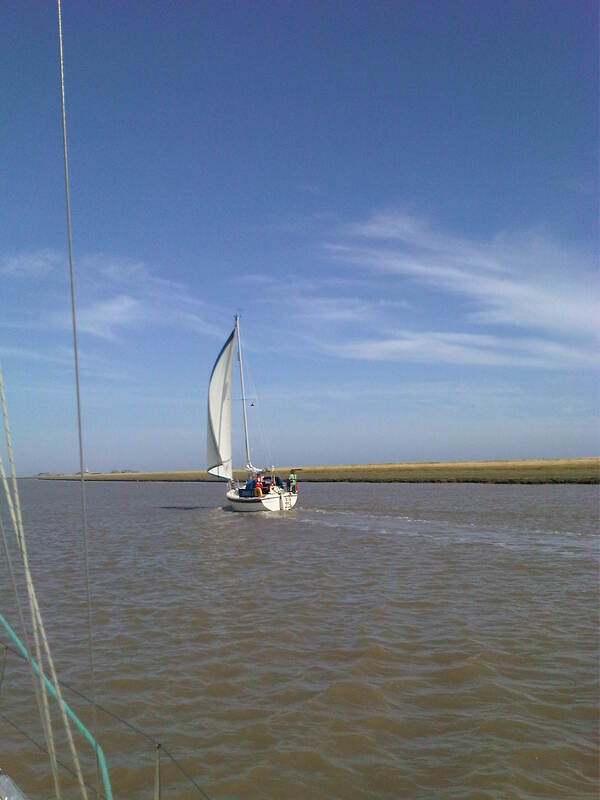 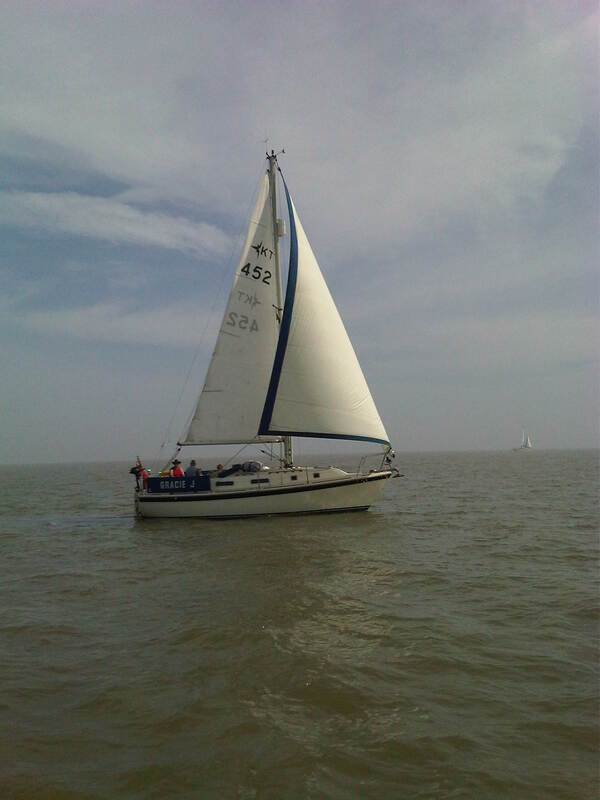 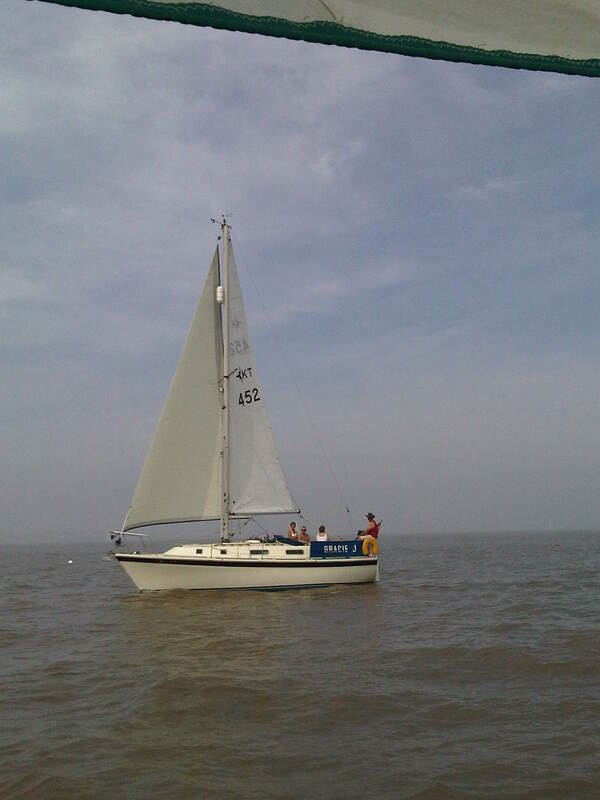 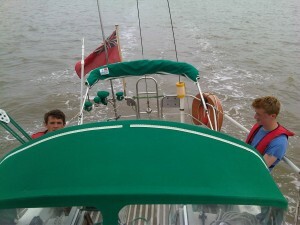 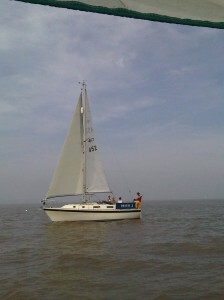 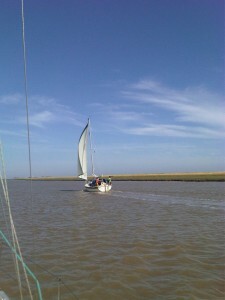 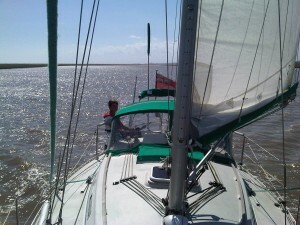 SW 7’s to take us home to Orford after a beat through Harwich Harbour with 2 reefs in the main and a small jib. 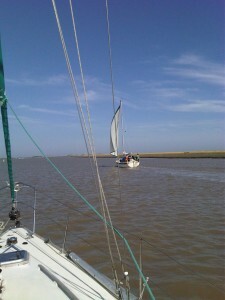 Back in the river and Orford in sight. ‘Gracie J’ with genoa. Rather you than me! 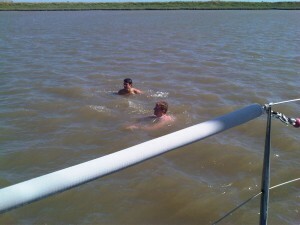 The boys swimming off ‘Samingo ll’ back on the mooring.